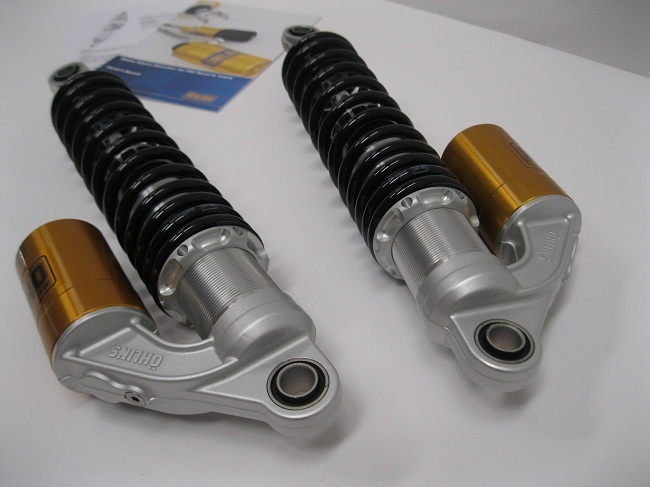 Ohlins fork spring and caps with Ohlins TR927/TR001, 369mm +10m eye-to-eye length, adjustable 45 click rebound. 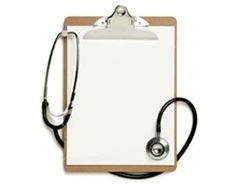 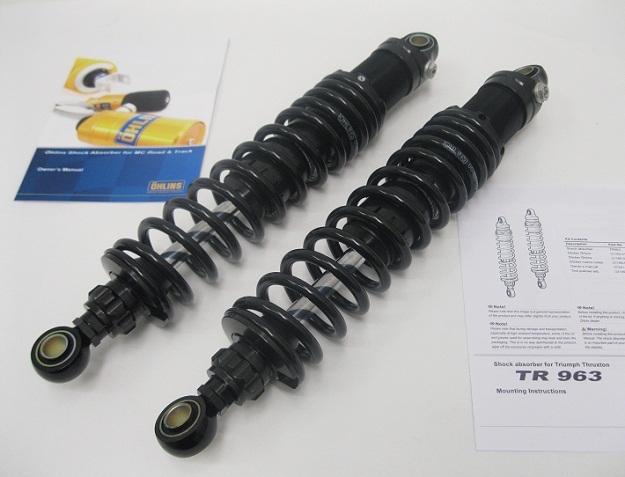 TR927/TR001 Brit Spec , 369mm +10m eye-to-eye length, adjustable 45 click rebound. 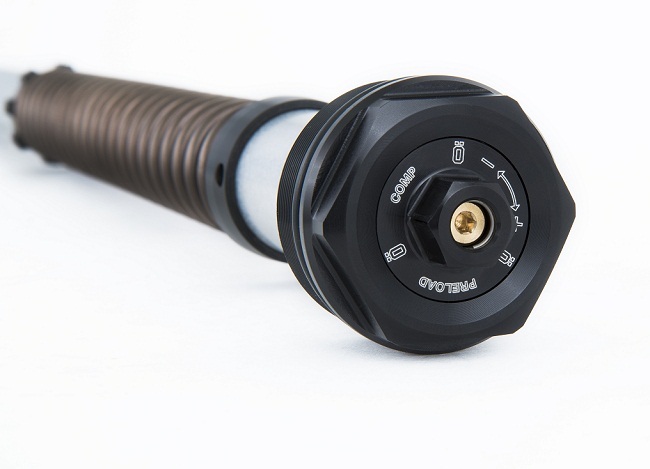 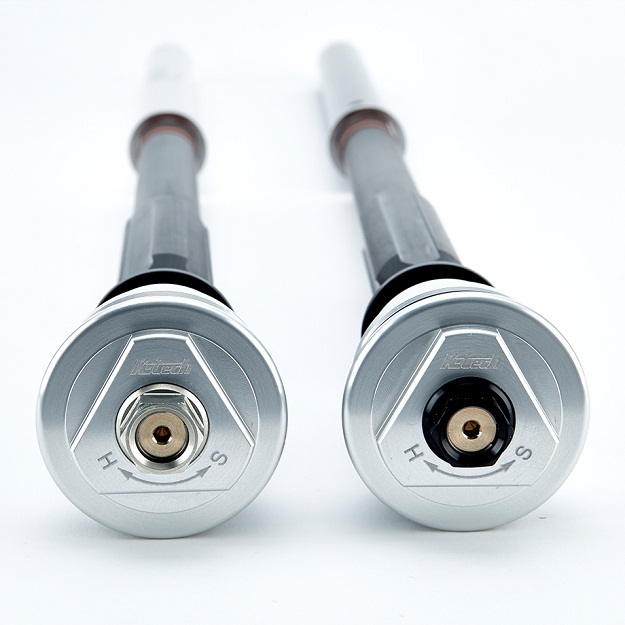 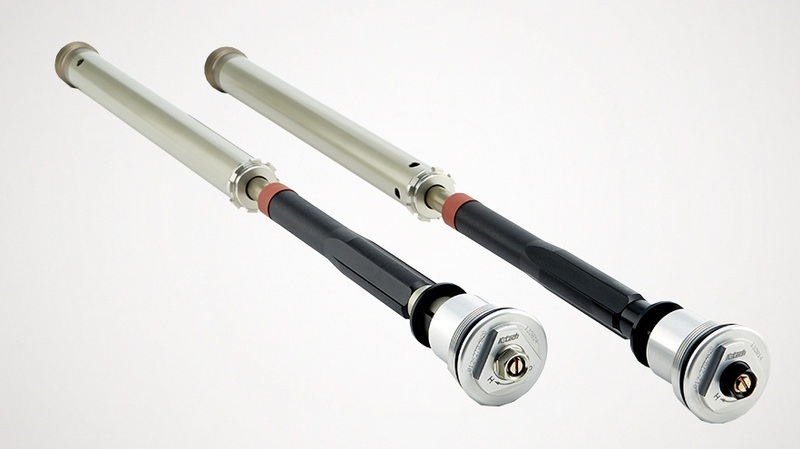 Ohlins TR628, eye-to-eye length 369mm long, has about 45 clicks rebound and length adjustable. 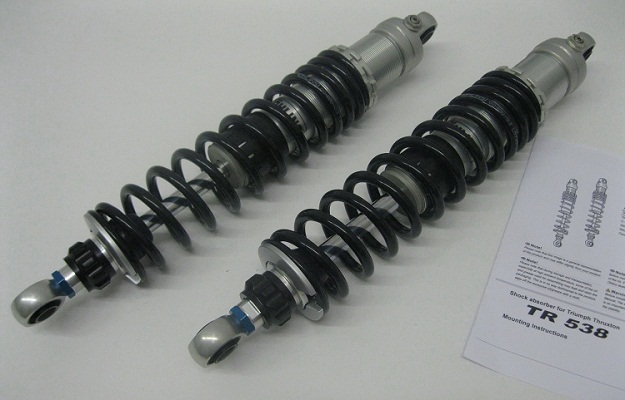 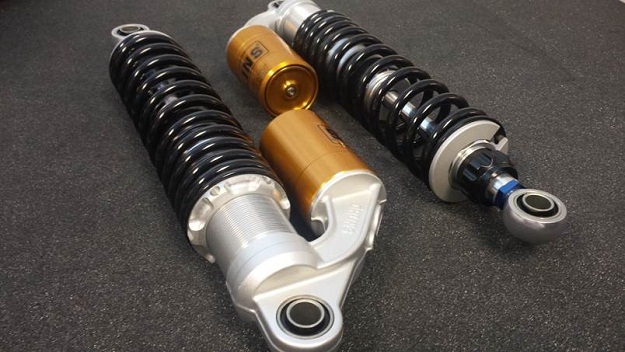 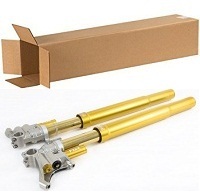 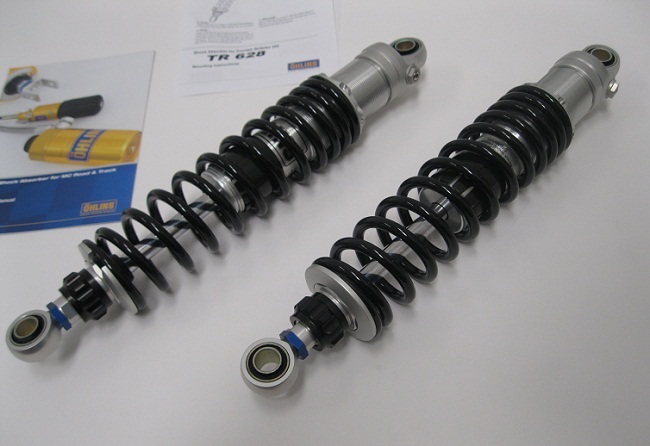 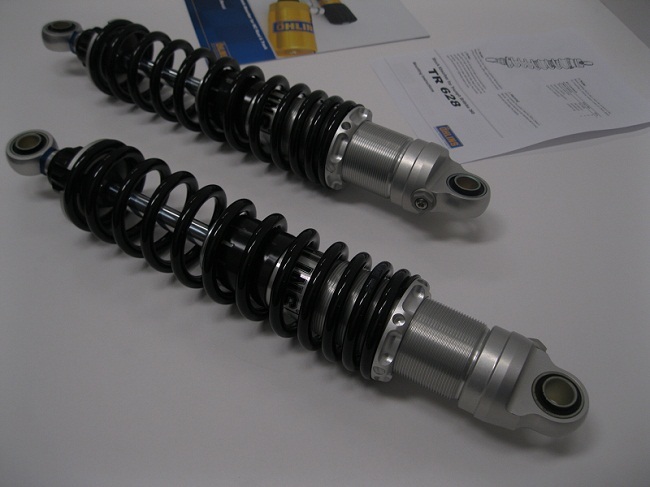 Ohlins TR538 Triumph Scrambler shocks, S36DR1L, 375mm +10mm eye-to-eye length and Rebound adjustable. 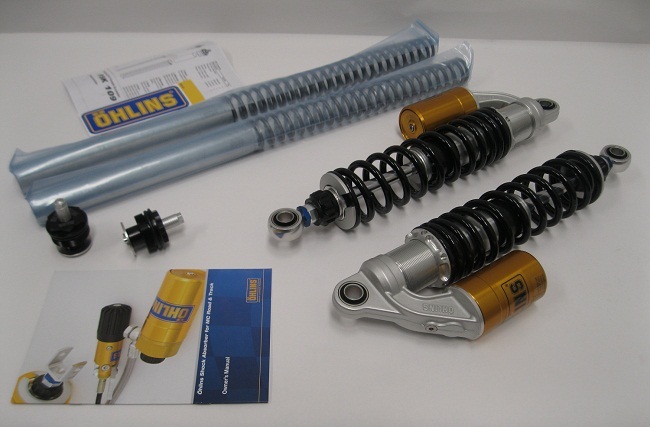 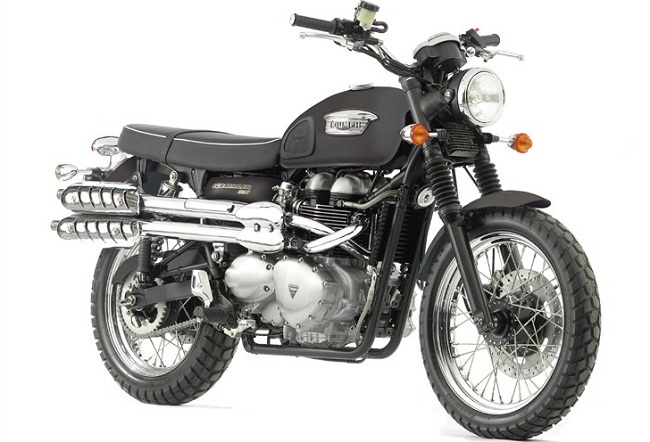 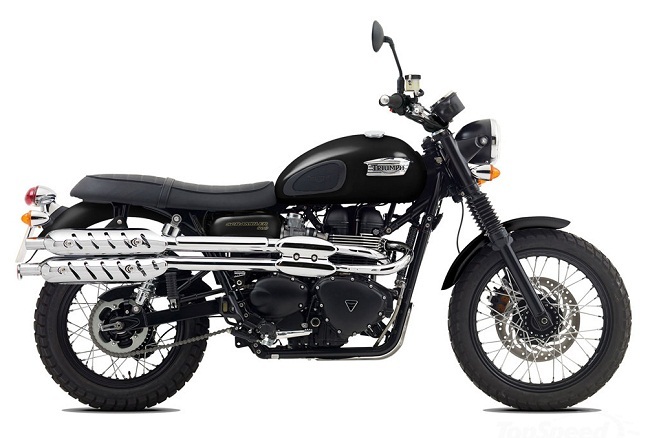 Ohlins TR963 blackline ,Triumph Scrambler shocks, S36DR1L, 375mm +10mm eye-to-eye length and Rebound adjustable. 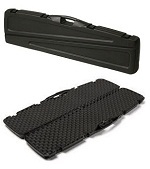 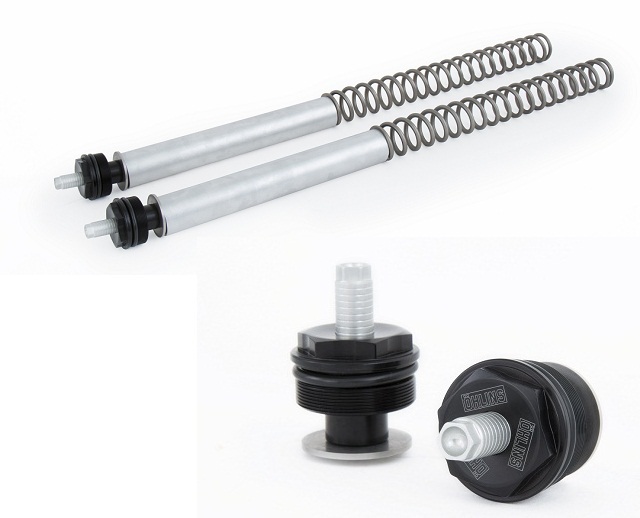 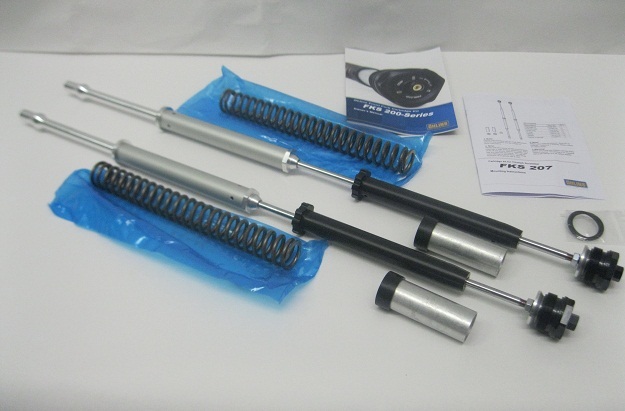 FKS-207 Ohlins, Ohlins Cartridges with fully adjustable external spring preload, compression, rebound all at top caps. 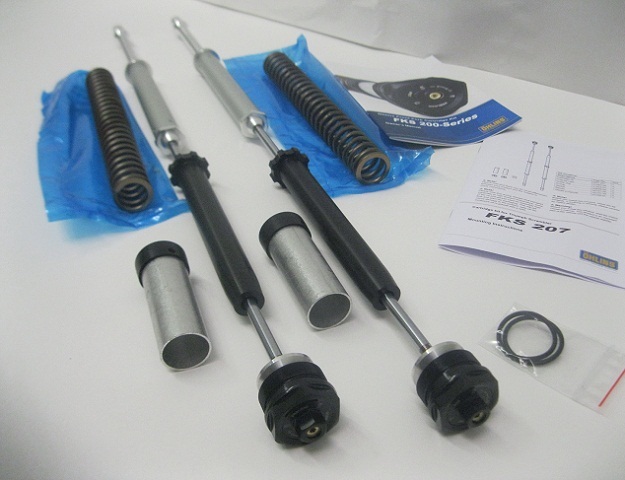 Above is a Super nice IDS kit (Independent Damping System), made by Ktech in the UK.